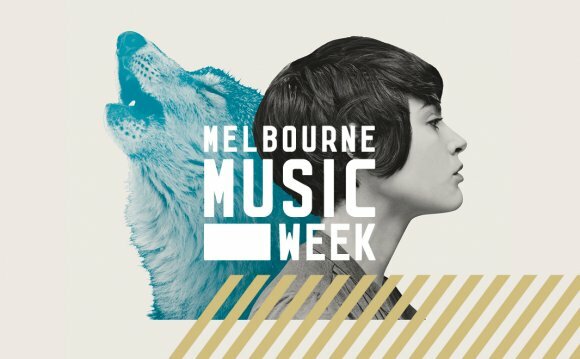 This week marks the return of Melbourne Music Week, once again taking over the VIC capital for eight days and nights from this Friday 13 November with a huge array of gigs, showcases, and unique experiences. The site of the MMW flagship hub venue this year is the Former Royal Women's Hospital and helping cut the sonic ribbon on the basement stage on opening night will be three local favourites. Get your mind renovated by and Thursday features grassroots local flick Play It Safe? about the all-too-real struggles of a struggling musician, with a soundtrack featuring Big Scary, Mantra and other Aussie talent. Indie label-come-tastemakers I OH YOU have put together an ace showcase (for a nice price, might we add). Heading up the Sunday bash is ARIA-winning riff-mongers DZ Deathrays, who'll be tearing the roof off of the MMW hub with cult rockers New War and indie crew Darts. Plus, there'll be DJ sets from Gold Fields, Tranter and the I OH YOU dudes themselves. Breakout will see the historic Old Melbourne Gaol and its courtyard transformed into a two-stage party with a solar-powered soundsystem and a line-up of criminally underrated and local emerging artists. Providing the arresting soundtrack will be Animaux, Crepes, DJ CC:DISCO, and the likes of Lesiure Suite, Sedgwick and Young Spice. Oh, and did we mention it's free? Believe it or not, it's been a decade since Sydney trio PVT released their influential debut Make Me Love You. They'll be celebrating the milestone in an evening of songs from that record, as well as the continually evolving experimental/electronic post-rock they've pumped out since. Helping blow out the proverbial candles will be a pair of special guests: glam rock revivalists Pearls and glitch jazz future punk Kirkis. The generous folks at The Lost Children's Project are teaming up with MMW to stage a warehouse party in Melbourne's inner-north, complete with pop-up dining and bars. World's End Press will headline the event, joined on the bill by Tiny Little Houses (who recently chatted with Richard Kingsmill), and some familiar Unearthed faces, like Foreign/National, Neighbourhood Youth, Little Shock, and The Hounds Homebound. What better way to commemorate the recent opening of Amphlett Lane, named after the late Divinyls firebrand Chrissy Amphlett, than with songs from the band's iconic catalogue? Enter the Amphlett Lane Stirrers, a choir featuring Olympia, Kira Puru, Jess Ribeiro, Jane Tyrrell, members of High Tension, Skipping Girl Vinegar, Totally Mild, and more who will perform five Divinyls tunes by candlelight - three times in one night. Great idea, gang!